Geriatric Care Management integrates health care and psychological care with other needed services such as housing, home care services, assistance with activities of daily living, nutritional services, socialization, and financial and legal planning. Our Geriatric Care Management team has extensive experience with the local providers of these services and can save you time, money, and heartache by aligning your needs with the best providers locally available to meet and exceed your personal requirements. In most cases, seniors are more open and forthcoming with Geriatric Care Managers regarding life issues than with their own family. Often they do not want to burden already busy family members. Other times they are embarrassed to discuss issues of care with family members due to discomfort with the role reversal of parent and child, but will openly talk about it with a professional advocate on their behalf. The assessment and evaluation is completed to create an individualized care plan. Interview questions cover a range of issues relevant to health and living situation, everyday activities, nutritional status, safety, memory, depression, finances, insurance, and medical issues and needs. Using this holistic approach, we are able to provide a complete evaluation to improve one’s safety and quality of life. The Care Plan includes the results of the assessment and evaluation with recommendations and referrals for the best local options for your personalized needs. The Care Plan will be explained in depth including what led to the recommendations, what you can expect, and how to prioritize the needs list. The process will continue after the services are arranged. We will monitor the services on your behalf to assure you are obtaining everything you need and are entitled to receive. Additionally, we will regularly meet with you to reassess your needs and modify the Care Plan and services to verify your safety and quality of life. We find out what you can do yourself, what can be done by your family, match this to the priorities and financial abilities, then arrange for the services to keep you as independent as possible while balancing your safety and well being. We are very connected in the community and know which programs work and the reputations of their providers. Even if your family is local, we can bear the load of organization and coordination of services for you and your family. A Geriatric Care Manager is a health and human services specialist who acts as a guide and advocate for families who are caring for older relatives or disabled adults. The Geriatric Care Manager is educated and experienced in any of several fields related to Geriatric Care Management including, but not limited to nursing, gerontology, social work, or psychology, with a specialized focus on issues related to aging and elder care. The Geriatric Care Manager assists clients in attaining their maximum functional potential. The individual’s independence is encouraged, while safety and security concerns are also addressed. Geriatric Care Managers are able to address a broad range of issues related to the well-being of their client. They also have extensive knowledge about the costs, quality, and availability of resources in their communities. 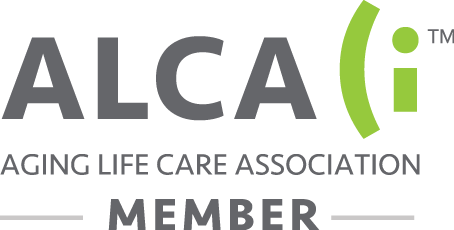 The best Geriatric Care Management Professionals are members of the Aging Life Care Association™ (ALCA) and differ from Patient Advocates, Senior Advisors, Senior Navigators, and Elder Advocates. ALCA members must meet stringent education, experience, and certification requirements of the organization, and all members are required to adhere to a strict Code of Ethics and Standards of Practice. 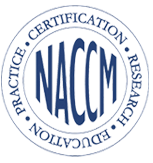 Quality control – Geriatric Care Management services follow ALCA’s Standards of Practice and Code of Ethics.